For all of the technological advances in photography in the past decade, it’s rather surprising to note that the actual form of the camera hasn’t changed much. We still adhere to the forward-facing box with the viewfinder (or LCD screen) at the back. But without the constraints of exposing the film in a certain way, why not change up the appearance and configuration of the camera? 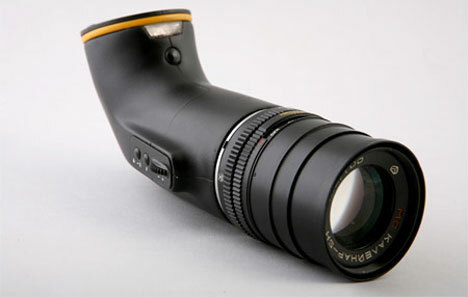 Designer Yaniv Berg is shaking up photography by introducing a vastly unique camera body that looks and acts rather like a periscope. One of the drawbacks of the traditional camera shape is that it is very evident when one is snapping a photo. Holding the camera up to frame the photograph makes it apparent when the photographer is targeting a subject for a picture. But Berg’s design would let the photographer shoot from the hip in a literal sense: the camera can be held low rather than in front of the face. The photographer looks down to frame the shot, which hides his intent and allows the intended subject to feel more relaxed. 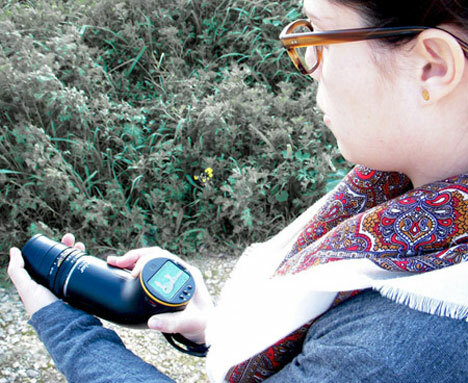 The viewfinder screen transforms into a preview screen once the camera is tipped up, letting the photographer view his handiwork easily. Blending the downward-looking posture of early cameras with the very 21st century preview feature makes for a wonderfully weird juxtaposition. This combination of new and old might not ever catch on as a mainstream camera design, but maybe it will inspire other designers to challenge the traditional camera shape. See more in Camera & Video or under Gadgets. September, 2010.